It is a quite common bird, although it is affected by the transformation of its habitat into irrigation systems and forest plantations. 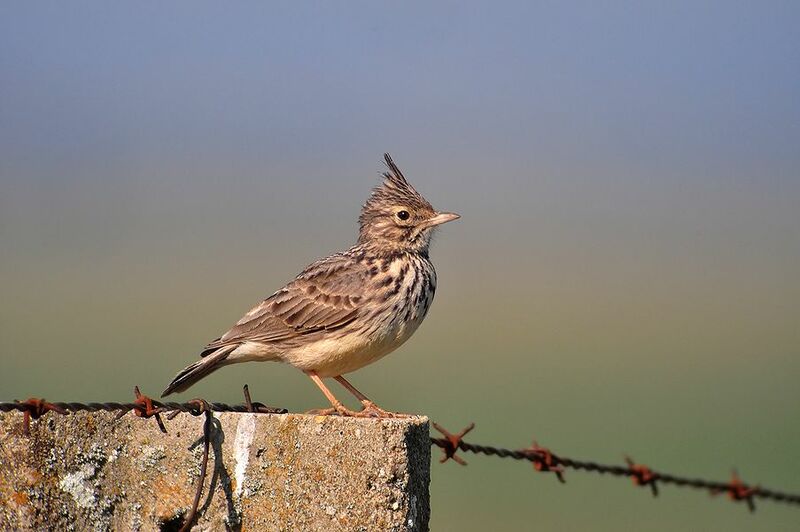 Identification: Medium-sized lark, very similar to the crested lark. This bird is different because of its more slender and greyish appearance, with a shorter bill and crest and more defined spots on its breast. In flight its orange rump contrasts with its whitish wings and back. Also, it usually perches in bushes and trees, which the crested lark does not usually do. 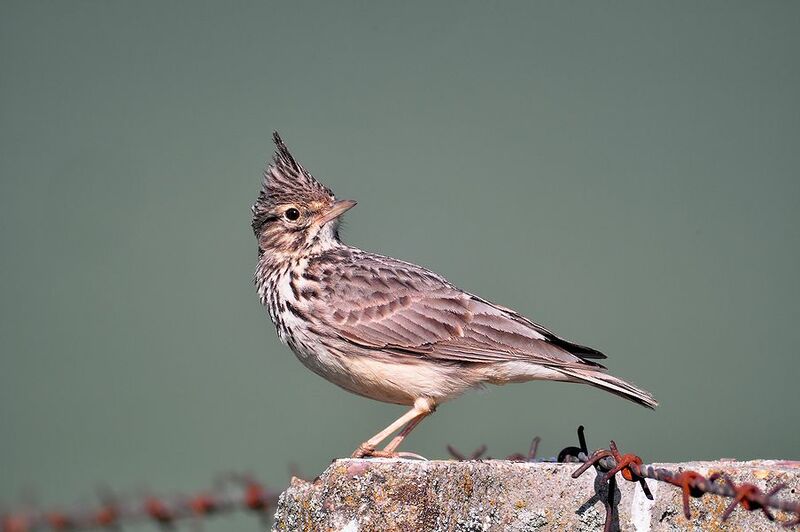 Song: Song very similar to that of the crested lark, a fluty melody that alternates whistles, trills and imitations of other birds. Diet: It feeds on seeds and small invertebrates such as ants, spiders, bugs, grasshoppers, caterpillars, snails, etc. Reproduction: The breeding season beings in February. It is a solitary, monogamous and territorial species that places its nest on the ground, among low bushes and sometimes rocks. The female is responsible for most of the incubation. It occupies open spaces with natural vegetation formed by low scrubland, grasslands, steppes with bushes and others. It usually breeds from sea level up to an elevation of 1,500 metres, reaching up to 2,200 metres in Sierra Nevada. In Spain: It is distributed throughout the Mediterranean region and the Balearic Islands. In Castile and León: It is distributed throughout the entire community, except for the Cantabrian coast. Movements and migrations: It makes local migrations of very little importance. 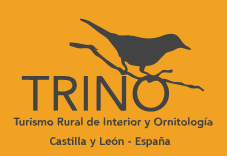 In Spain: There is an estimated population of 1400000-1600000 breeding pairs (1990 data).